September 05, 2018, 10:05 a.m.
News of Costa’s sale to Coca-Cola dominated consumer headlines last week, as the fizzy drinks megabrand purchased the UK-based coffee chain for £3.9bn. Whitbread’s shares jumped more than 16 per cent following the news. Alison Brittain, the chief executive of Whitbread – Costa Coffee’s parent company – said the price paid by Coca-Cola was far higher than if Costa had been demerged and placed on the stock market as a standalone company, as planned earlier this year. She also underlined that the deal provides Coca-Cola with the opportunity to move into the coffee sector, as it had been looking to do for a long while. It currently does not have any coffee in its range at the moment of course. Brits’ enthusiasm for coffee shows little sign of abating. The out-of-home coffee market is worth billions, and as such provides Coca-Cola with a wonderful opportunity to diversify its offering – particularly at a time in which the ‘sugar tax’ is having an impact. 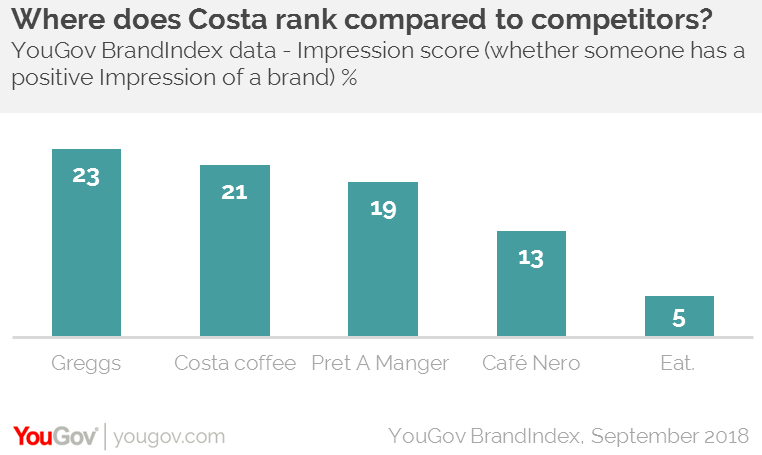 YouGov BrandIndex data underlines how well Costa has been performing in relation to its very competitive sector rivals and how strong its relationship with British consumers is. Looking first to the brand’s impression score (whether someone has a good or bad impression of a brand) it ranks second in its sector, with a strong score of 21. It only falls behind Greggs on this front (which of course has a different focus in its offering). Similarly, it only just trails Pret a Manger in terms of overall quality score (whether a brand provides good quality) with a score of 16 – again a strong score. 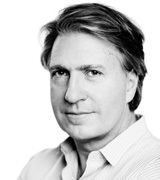 Crucially, Coca-Cola has bought a brand with whom its own customer base is likely to interact with. YouGov Profiles data reveals that over half (51 per cent) of Coca-Cola’s current customers say they drink coffee at least once a day, if not more. Cola-Cola’s extensive sales, marketing and operational reach will no doubt help to diversify where consumers can buy Costa products, while the fizzy drinks giant will look to capitalise on the already solid base that Costa provides.